I've Just Got to be a Cowgirl, 20" x 16"
Cowgirls! 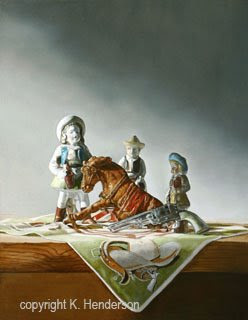 This painting has cowgirls, a cowboy and a horse (ok, its a mule) . What more could you want in a western painting?